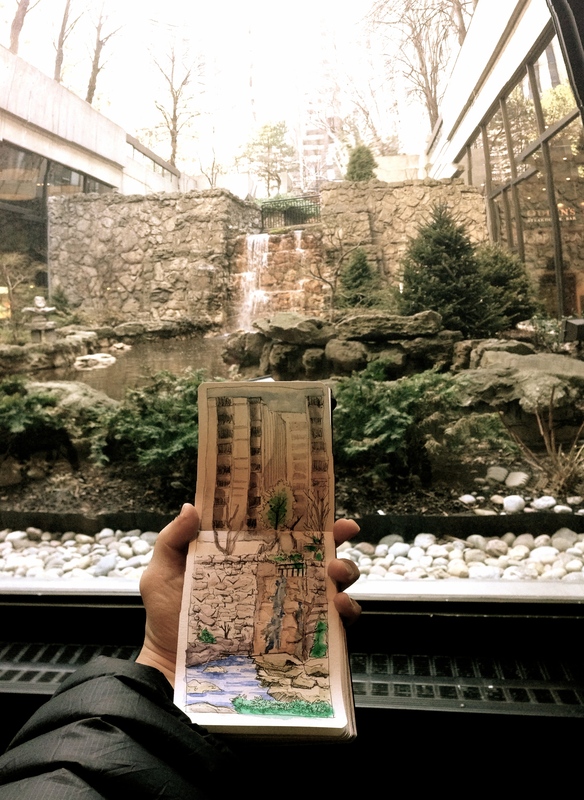 Spent the day with the Toronto Urban Sketchers group. 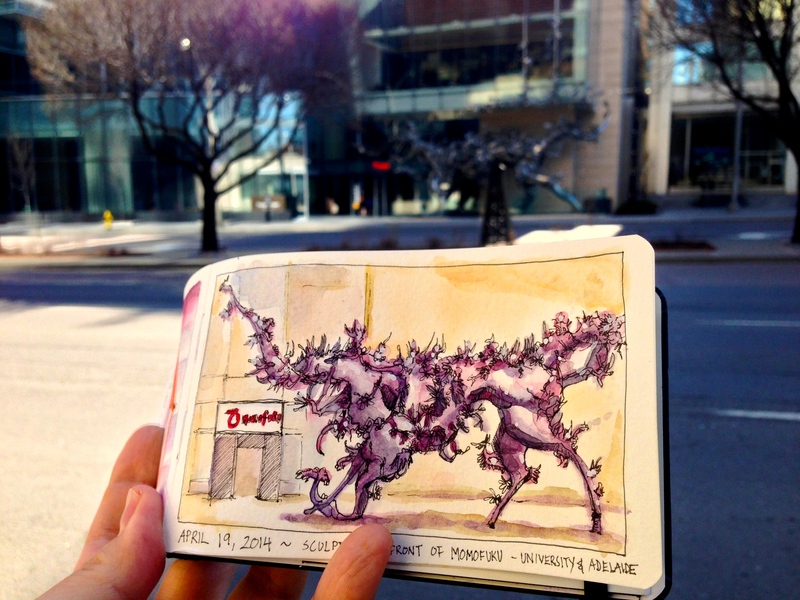 We were participating in a “Sketchcrawl” – a drawing marathon where a group of artists explore the city and sketch what’s around them. It was interesting and inspiring to see other people’s take on Toronto. The lobby of the Sheraton Hotel has seating surrounding the courtyard and a cafe that serves Starbucks. 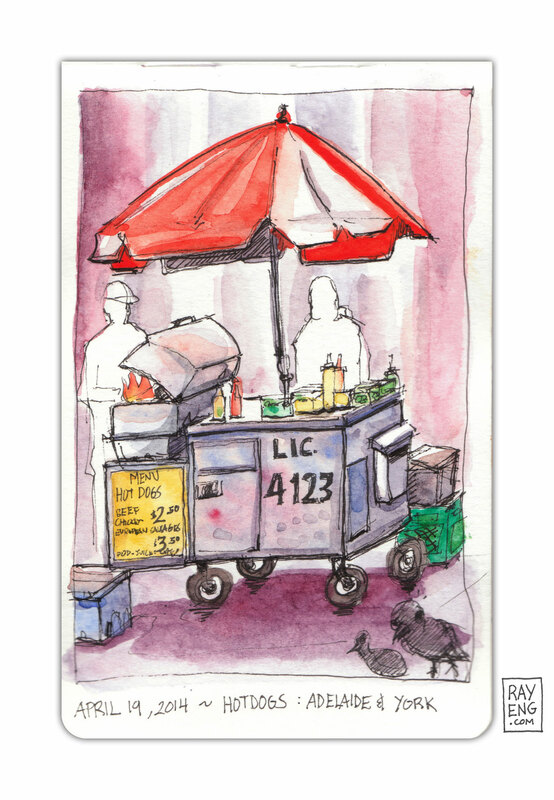 This hot dog stand is in the Financial District and is usually busy serving bankers during weekdays. 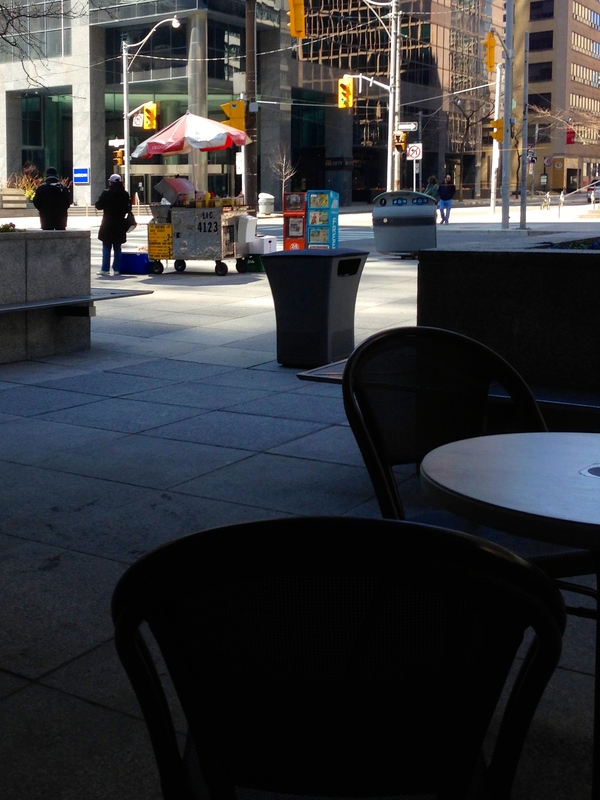 Since it was Easter weekend there was barely anyone around, but the vendor did manage to sell some hot dogs. 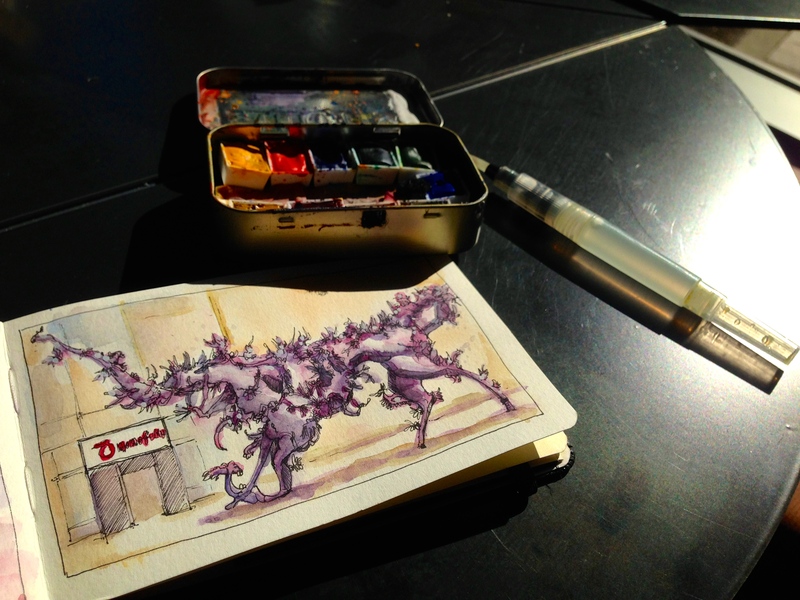 I didn’t get one, as I was sketching and having coffee inside a Starbucks. A sculpture by artist Zhang Huan outside of Momofuku restaurant. 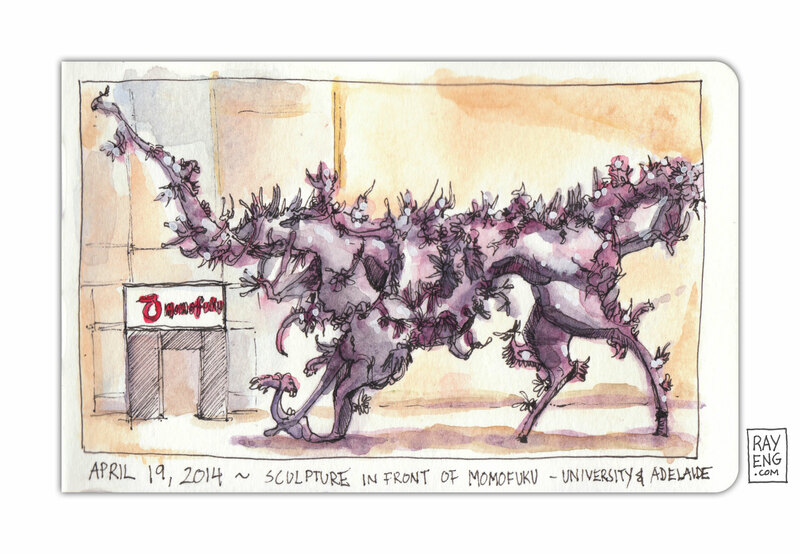 I sketched this from across the street inside a Starbucks. 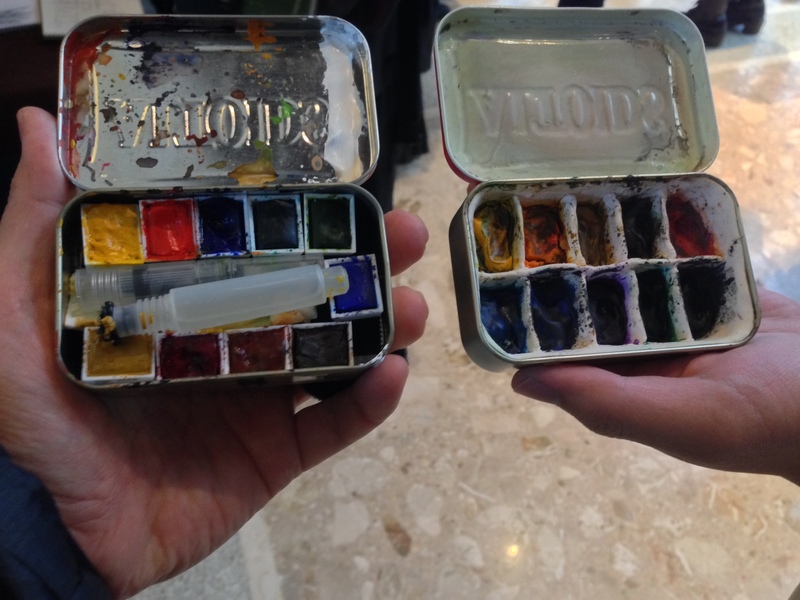 Another sketcher had an Altoids Watercolor travel kit as well. You can learn how to put one together here.